Restoration of a Beacon Street home in Boston, MA. 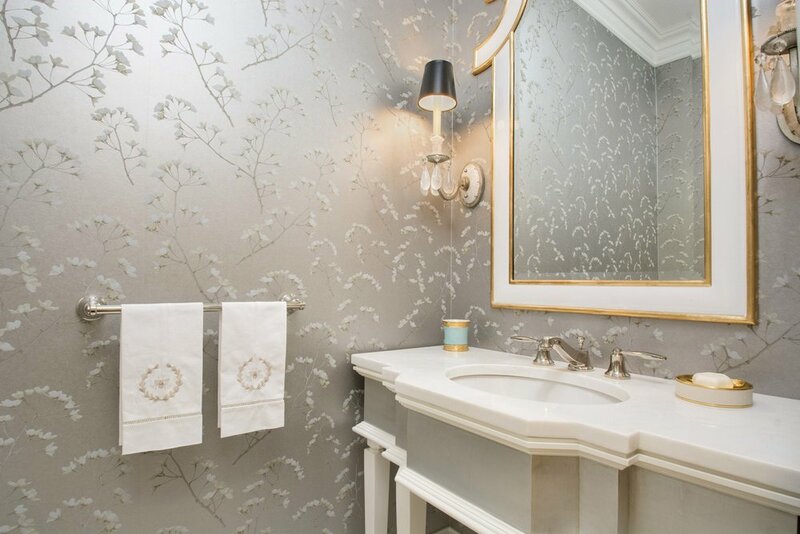 Chelsea designed this project while employed at Payne/Bouchier, Inc. A clever rearrangement of space allowed for the addition of a small kitchen and a powder room to the parlor level of this grand period home. 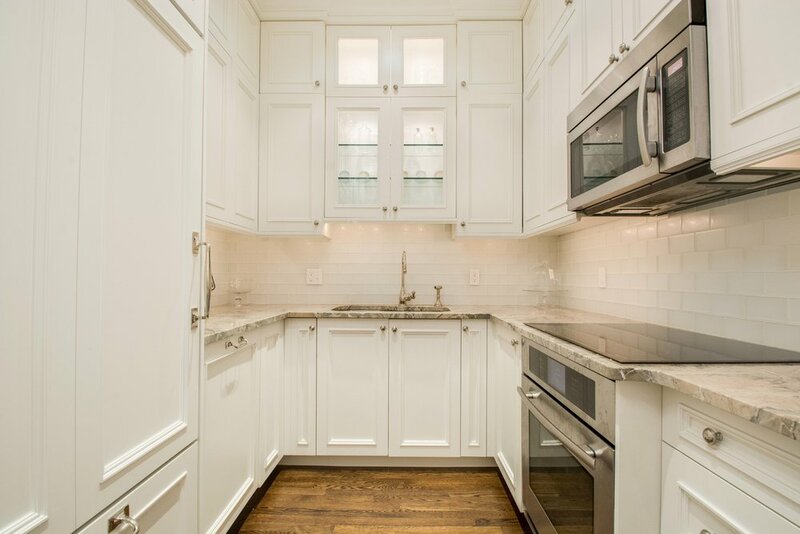 High ceilings allowed for extra upper cabinets in the kitchen and a storage area above the powder room. Throughout the apartment, original millwork panels, applied moldings and fireplace surround were lovingly restored. A custom marble entry floor was installed to set the stage for this lovely apartment.